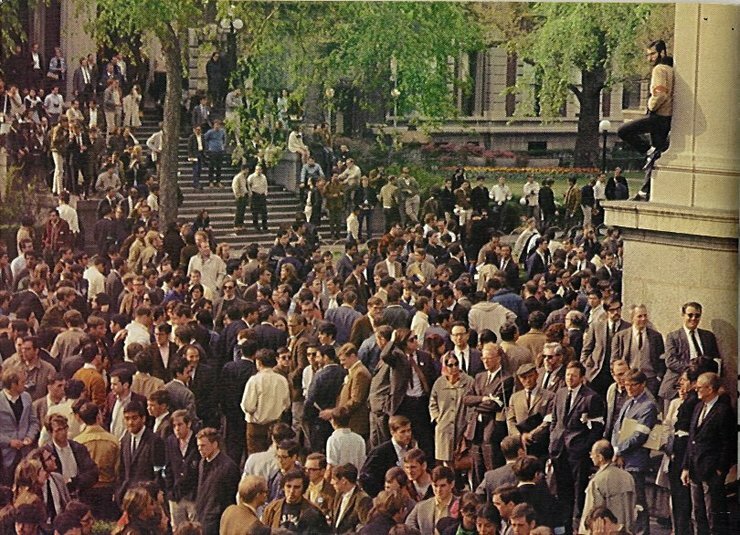 The scene outside Low Library on fried-chicken day, but not during the food hurling. White-armbanded faculty are visible at the lower right. A red-armbanded student stands on the ledge. The chicken thrower (John Taylor) stood near the Earl Hall steps, left center (it's farther than it looks). Photo: Columbia College Today , Spring 1968.